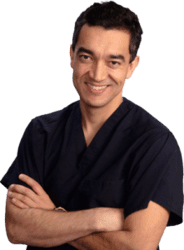 An arm lift, also known as brachioplasty, is a procedure performed at our Pittsburgh, PA, practice that removes, reshapes, and reposition the excess tissue (arm wings) of the arms and axilla. It is performed under general anesthesia and it is usually completed in 3 hours. The usual recovery time is 2 weeks. Who is a good Arm Lift Candidate? An arm lift is the removal of excess fat from unwanted areas of the arm (arm wings) for the enhancement of its shape. It is done in a surgery center or a hospital. It is done under general anesthesia. The duration of the procedure is about 3 hours and it is done as an inpatient procedure with an overnight stay. Definitively NOT. Arm lift is a very well tolerated procedure. However, it will leave bruising and swelling that will be present for 1 or 2 weeks. Plan ahead if you are planning on this surgery. The answer is yes and no. When doing your arm lift, we will use absorbable stitches. Despite the use of ointments and massage, we will need to remove some of the remaining stitches that did not fall or disappear. How is the recovery after my arm lift procedure? The typical cost for Arm Lift near Pittsburgh, Pennsylvania ranges from $6,000 - $8,500.